Bill oversees the entire Morris Tait Associates organization and is an active sales representative. He has been with Morris Tait since 1980 and has over 40+ years of experience in the audio video industry. At the age of 21 he started as a store manager for Lafayette Radio. He spent 3 years at JVC as a sales administrator and regional manager. He is the original Sonance Representative and in 2006 was recognized with a Lifetime Achievement Award. Brenda is the director of Sales and Administration. She graduated from the University of Pepperdine with an MBA. She joined Morris Tait in July 2007. She was recently recognized as the Inside Support Person of the Year for Sonance at CEDIA. Her background is in sales management and support. She was with A-VIDD Electronics for 15 years. She handles sales and marketing support for the Morris Tait organization. Susan is the V.P. of Operations. She is also responsible for the accounting at Morris Tait. She has been in the audio video business since 1977. 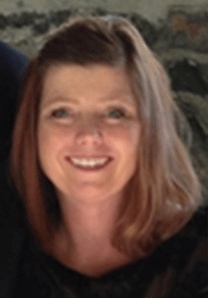 Alison joined Morris Tait in January 2014 as a Sales Coordinator. She has over 10 years experience in an administrative role working for a national telecommunications company. Alison is also very involved volunteering and recently served two years as the PTO President at her children’s elementary school. Her main role at Morris Tait is to support our sales and marketing team. Jeff is a graduate of the University of Southern California and recently celebrated his 25th year with Morris Tait Associates. Working with retailers and custom integrators throughout the LA basin (and Southern Nevada) has resulted in long lasting business relationships and partnerships. Vendors and dealers alike can rely on Jeff for opportunities to be presented and a fresh perspective on our changing markets. Consistently finding that correct balance in his territory has allowed Jeff to develop a strategy of mutual interest and long term success. In his free time, Jeff also is an avid golfer and musician (piano and guitar). John brings a wealth of Consumer Electronics experience to the Morris Tait Associates team. With over 28 years in the Consumer Electronics business, John has a deep understanding of the retail and custom integrator space. His 16 years working as an Independent Manufacturer's Representative has given him a broad skill set. With an emphasis on consultative selling and relationship management, John's vendors and customers have come to count on his ability to help them grow their businesses with a view toward long term success. John is technical by nature and loves to “peek under the hood” and learn how things work. This curiosity combined with a love of Tech is what pushed him to learn to build PCs and networks, a skill set that continues to be more valuable in today’s heavily networked environment. In 2010, John was presented with a Super Achiever award by Sim2. Darren is an industry veteran who started his career as a CI installer in the late 80's and brings many years of experience in the CI industry to the Morris-Tait Associates team as a consultant. With over 24 years in the Consumer Electronics business, Darren believes in the philosophy of "Earn the Right to Talk About It" in which his belief of Hands On experience has brought him respect amongst his piers. Darren has an international reputation for promoting sales efficiency in the custom installation niche of the customer electronics industry. Darren spent 3 years as a Management Consultant with Dana Innovations and prior to that was the exclusive Canadian Distributor for 11 years handling the Canadian Market for Dana Innovations, Liberty AV, Seura, and other brands giving him a broad skill set in the industry. Through his experience Darren obtained the expertise of a Technical Sales Person as well as how to advise management and clients on best practices. He enjoys working with Morris Tait to help the company grow their business and its clients implement the right products. Additionally, he develops specialized reporting capabilities and project tracking capabilities for Morris Tait. With over 30 years in the commercial and consumer electronics industry, starting as an integrator and recently holding regional sales director roles, Guy brings technical design, training and management expectance to Morris Tait. Guy Elston acquired his marketing experience from iconic companies like Circuit City and Monster Cable. Passionate for technology, Guy loves to attend industry events, educational webinars and training seminars. Guys problem-solving abilities has earned him a great reputation for trouble shooting; always working towards the best end user experience as possible. Guy loves the outdoors and spends his free time supporting his children’s sporting activities, back packing, snow skiing and sailing.